The Prosecutor-General's Office ignores the Supreme Justice Council (SJC) complaints. 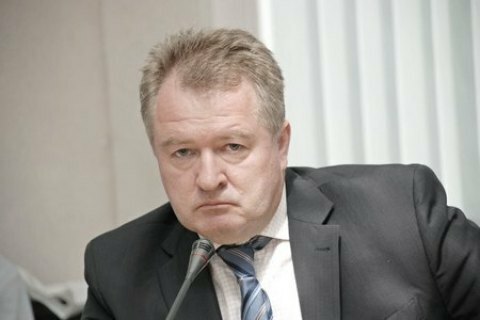 The head of the Supreme Justice Council, Ihor Benedysyuk, said at a congress of judges on 5 March that attempts to put pressure on the judiciary are continuing in Ukraine. "Unfortunately, pressure on the judiciary continues. More than 400 judges have told the High Council of Justice they were subjected to pressure," he said, adding that the SJC considered 125 such complaints. According to him, the SJC receives inquiries from MPs about judges' actions. In particular, it had nine such inquiries. In addition, Benedysyuk noted that "not always the decisions that the SJC takes with regard to cases of pressure on judges are being enforced". In 2017, the SJC adopted 57 appeals to law-enforcement agencies in connection with pressure being put on courts. "The prosecutor-general replied to us (SJC - Ed.) that, in matters concerning prosecution, we should contact the disciplinary commission, in other cases the prosecutor's office sees no reason for investigation," Benedysyuk said. He added that according to the legislation, judges should complain to the SJC in case of pressure. The SJC head described as pressure the opening of criminal proceedings against judges under Article 375 of the Criminal Code (the issuance by a judge of a knowingly unjust judgment, decision, resolution or ruling). "In 2013, the prosecutor's office opened 220 proceedings under this article, in 2017 there were 517. Only one case (against a judge – Ed.) was sent to court," he said.